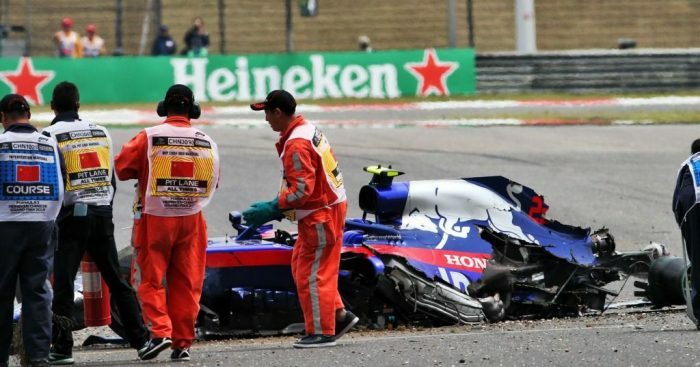 Albon left his garage with simply too much work to repair his completely wrecked car in time for qualifying, meaning the Toro Rosso driver will be starting the race from the very back of the grid. 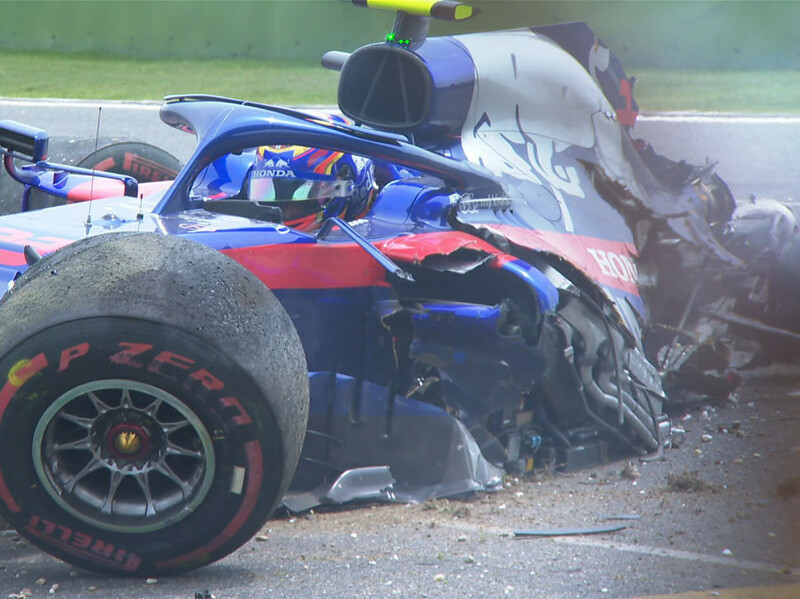 The rookie was guilty over over-exploring the limits of his STR14, losing control of the car at the final corner and slamming into the barrier. Whilst he is completely fine, his pride and confidence may be hurting a little more. “A lot more angry and disappointed than anything else. It was a big crash, it was a bit of a silly one as well. “I took a bit too much astroturf, a bit too much throttle. “I’m disappointed because we had a good chance to be in Q3 today and I think the car was really strong all weekend. Asked if he considered it to be a rookie mistake, the 23-year-old admitted he should have known better. “It would be a bad excuse,” he added. “Maybe you can but I don’t think it should happen. “I think I was a little bit too greedy. Honda have confirmed that a new chassis and power unit will be fitted to Albon’s car for the race, meaning he will start from the pit lane.